I fell in love with this family and keep using their descendants for other projects. They’ve visited computers all over the world and I keep sending them out when I see a nice casting call. 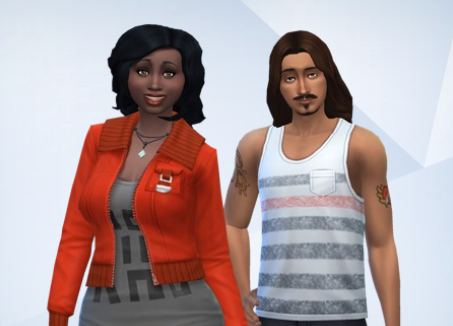 I finished the legacy in 2015 but I started a Build Newcrest Challenge with the tenth generation heir, Eiji. Right now we’re on generation thirteen and Maeko just took over. Around the same time I started Newcrest I also started an Amazon Challenge with Eiji’s older sister, Suzu. For my challenge, the “Amazon” world is a fictional one that Suzu created for a series of books. Lastly, we have Liliana Ikeda and the Alien Adoption Challenge. Lili is a generation thirteen cousin and she was cute as a button! She adopted a little alien girl named Xilla and they’re nearing the end of their story. There have been more Ikedas sent out into the world and you can check out links to their appearances here!